The Gatsby Charitable Foundation has launched a multi-channel campaign to highlight the contribution technicians make to the UK – so that it is better understood by society at large. 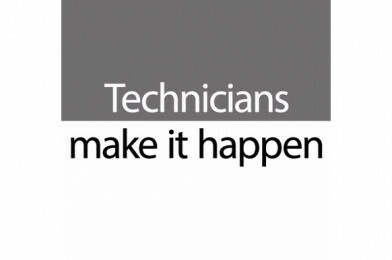 The Technicians Make it Happen (TMiH) campaign aims to change perceptions about STEM technicians and promote some of the outstanding apprenticeship opportunities that lead to technician careers. Technicians are vital to society and their skills are needed now more than ever! “The demand for technicians is growing. Their diverse skills are critical to the UK’s performance in the global business arena, yet we face a growing skills shortfall. Along with encouraging future technicians, Gatsby want to hear from organisations that employ technicians, organisations or individuals that teach/train technicians and organisations that are running other STEM-related campaigns. You can download information about the different ways to get involved here.